How is a Search Operation Conducted by Income Tax Department ? 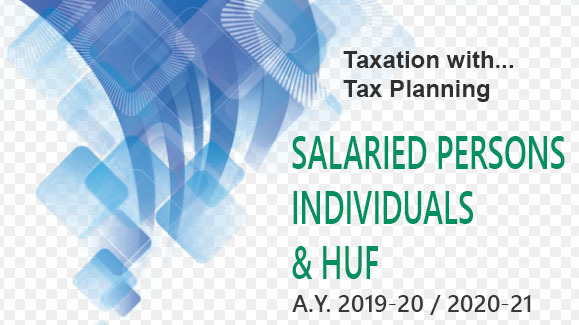 A search operation under the Income Tax Act is undertaken in the case of a person or a group of persons believed to be indulging in tax evasion. The provisions relating to search and seizure are contained in section 132 of the Income Tax Act, 1961. A senior officer of the investigation wing, i.e. Director of Income Tax (Investigation) authorizes search in a case after full satisfaction that search action is absolutely necessary to unearth evidence of tax evasion and assets acquired out of undisclosed income. For this purpose, he issues search warrants specifying the premises and the persons to be searched. The names of the officers who are authorized to conduct the search are also mentioned in the warrant. A separate search warrant is issued for each premises to be covered in the search operation. A search can be conducted at any place where documents and books of account relating to undisclosed transactions and unaccounted cash, jewellery, gold or other precious things of the persons against whom the action is directed, are believed to be kept. The provisions for search allow any building, place, vessel, vehicle, or aircraft to be searched for this purpose. The places to be covered in a search operation are ascertained beforehand and search warrants are issued accordingly. Generally, in a search operation, the residences of proprietors, partners and directors, cars, bank lockers, etc. are all searched. Residences of the accountants, close relatives and business associates may also be covered, if considered necessary. The offices, shops, factories, godowns, etc., of the group being searched may be surveyed as a part of the entire operation. The decision whether to cover a business premises by survey or search is taken depending on facts of the case and the necessity of the action. The authorized officer is empowered to call for services of any police officer and / or of any Central Government officer to assist him in carrying out the search operation. Generally, adequate police persQnnel accompany the search teams for maintaining law and order during the operation, and for ensuring the safety of the members of the search teams and others, if any untoward incident takes place. Before starting the search, the authorized officer has to call at least two respectable inhabitants of the locality, who will witness the search and remain present at the premises throughout till the operation comes to an end. A friend or an employee or any relative or advocate / consultant of the person being searched, is not appointed as a witness. The search entails entering the premises and carrying out a physical search of the premises including that of any boxes, safes, lockers, almirahs, cupboards, receptacles, etc. found in the premises. If the keys of the doors, almirahs, boxes, safes, etc. are not available, these can be broken open. If any hidden cavities are found, these can also be broken open and searched. Any person present in the premises, or leaving the premises, or coming into the premises may be subjected to personal search if it is suspected that he is hiding any undisclosed / unaccounted documents or books of account or valuables on his person. If during the search, any books of account or documents are found to be maintained as electronic record on computers or other digital or electronic devices, then the person having control over such accounts / data has to make the password, etc. available to the authorized officer so that he can have access to them. During the course of the search operation, statements of the key persons are recorded so as to give them an opportunity to explain the state of all their financial affairs. While recording the statement, the authorized officer will ask questions on all investments, immovable properties, other assets, bank accounts, bank lockers and also on all papers, documents, diaries, digital records, account books, etc. found during the search. This statement has a lot of importance in the subsequent proceedings. Finally, the incriminating books of account and documents and assets comprising of cash, gold, jewellery and other valuables, which are found to be unaccounted and not disclosed for income tax and wealth tax purposes, are seized. The stock in trade, however, is only inventorized and not seized, even if it is found to be unaccounted. Inventories of all books of account and documents found and seized, as well as found but not seized, are prepared by the authorized officer. All the gold, silver, diamonds, gold ornaments, precious stones and jewellery found during the search are valued and inventoried. Those found to be undisclosed, which are to be seized, are also separately inventoried. Other valuables found during the search like paintings and other works of art, antiques, apparels studded with precious stones, etc. are also valued and inventoried. Bank lockers may be simultaneously searched while the search at the main premises is going on, or may be kept under prohibitory orders to be searched at a later date. Any incriminating documents and undisclosed cash, gold ornaments, jewellery, etc. found from the bank lockers are also seized. If it is not practicable to immediately seize any of the books of account, documents, valuables, etc. found during the search, the authorized officers may keep such books of account, documents, valuables, etc. under prohibitory order and seal the locker, receptacle, almirah, room or place where they are kept. The prohibitory order is lifted at a later date and action for seizure is taken. 4. The Foreign Exchange Management Act, 1999. Before the search is concluded, a panchnama is prepared in which an account of the entire proceedings is recorded, and all the statements recorded and inventories prepared during the search are appended to it. The panchnama is to be signed by the authorized officer, the person in whose case the search is being conducted and the witnesses to the search. The seized cash and other valuables like bullion, jewellery, gold ornaments, etc. are securely kept by the department till these are either adjusted against the tax rules or released to the concerned persons. What is a Search Under Income Tax Act. ?